Hempstead, New York, USA. October 30, 2017. Film event of screening of SYLVIO, a fantasy feature film, and Q&A with ALBERT BIRNEY, KENTUCKER AUDLEY, and moderator RUSSELL HARBAUGH, is hosted by the Radio, Television, Film Department of the Lawrence Herbert School of Communication of Hofstra University, at Breslin Hall. 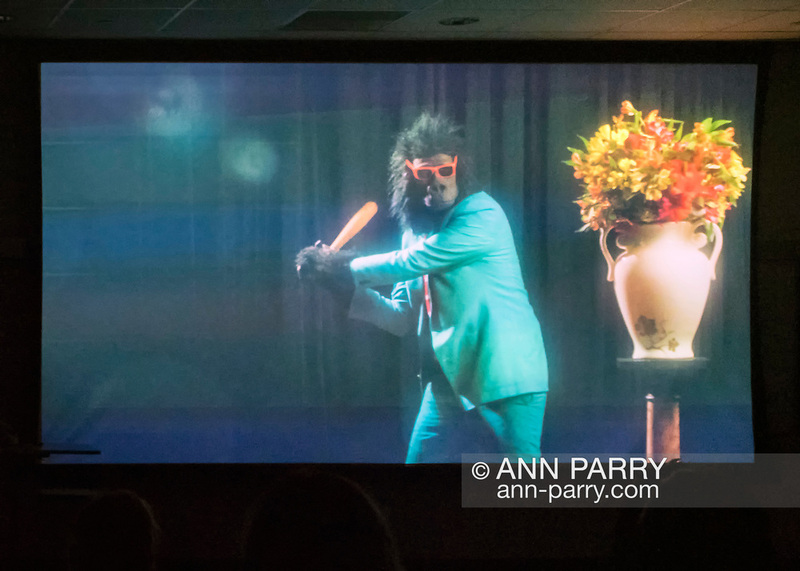 Birney is gorilla Sylvio Bernardi, and Audley co-stars as a talk show host, and they're the film's directors, and, with Meghan Doherty, its screenwriters. SYLVIO originated as a Vine character created by Birney. "SYLVIO, a film festival favorite, is about an ordinary gorilla trying to live a simple life."